Datalot is a technology company focused on customer acquisition. Datalot has quickly become the leader in the live calls industry by delivering calls of interested consumers generated through the web and mobile. The simplicity and effectiveness of the platform lies in Datalot’s Cloud based self serve Live Call Tool. This one of a kind solution provides clients complete access to their campaigns. All calls are filtered and priced based on individual client marketplace bids. Datalot’s principal focus is personal insurance, and are currently generating thousands of calls daily for Auto, Home, Life and Health insurance nationally. Datalot is turning clicks into policies more efficiently than any other product in the sector. Crain’s has acknowledged Datalot one of New York’s fastest growing companies two years in a row. Now integrated with Blitz insurance CRM software, prospects generated by Datalot will automatically drop into Blitz and distribute to an available sales producer to make contact. Blitz also delivers an immediate email to the lead, customized by the agent. Since leads are not always reached the first time around, Blitz will continue to market with an intelligent drip email system and follow up reminders. This integration saves agents valuable time, improves response time from sales staff, and in turn generates a higher ROI. 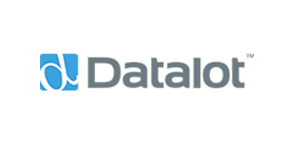 To learn more about Datalot, visit their website at www.datalot.com.